Dome surveillance cameras have been the first choice among many successful commercial establishments for some time now. Why? Because they work. This being the case, it can be easy to hop on the bandwagon and grab a few of these cameras for yourself. However, being that we’re talking about a product which, at times, may be solely responsible for your safety, it’s important to be sure that you’re getting the right model. In this review, we’ll find out what makes any given dome camera better than the other. We’ll also take a look at three of the best products on the market, ensuring you get just what you need. GW Security has been one of the leading brands in the world of security cameras of all sorts – dome or otherwise – for a rather substantial amount of time. They’re known for releasing a wide variety of different cameras which are of the highest quality available. On the other hand, the vast majority of said cameras are unattainable or simply unwanted by folks like you and I due to their extremely high price. In fact, some of them sell for close to one thousand dollars! Luckily, it seems the brand has been reaching out to homeowners and small businesses as of late through releasing security cameras which are much more modest in price. Don’t let their agreeable price tag fool you, however. These are some of the best dome surveillance cameras on the market. Upon first seeing the GW Security GW807H for the first time, you may find it looks just like the cameras used in Walmart or IGA. This is due to its outer casing which not only gives it an industrial feel, but actually gives you a few extra capabilities that you can’t get in many dome cameras. For example, because the camera itself is covered by a layer of plastic which isn’t as transparent from the outside looking in as it is from the inside looking out, nobody other than you will know where the camera is pointing, especially under poor lighting conditions or from far away. As such, if you’re using your camera as more of a scarecrow than anything, you can be sure it will deter people from all angles, whether or not one happens to be within its line of sight. This also adds a degree of frugality to the camera, being that you’ll be able to cover a wider area with one single unit, leaving you having to buy less cameras in the future if you’re looking for full coverage. It will also be less noticeable to others when you’re actually moving the camera around, allowing you to casually see what’s around your camera without letting anyone know what you’re up to. Outside of its semi-transparent dome, the GW Security GW807H is just a great overall camera when you stop to consider its specs. Its video quality, for example, is well above par. With a resolution of seven hundred and twenty pixels, you’ll not have to worry about being unable to pick out faces or other small details. If you’ve ever seen a store’s camera in action, you’ll know that the GW Security GW807H’s video quality goes in great contrast with many dome cameras on the market. Lastly, the hardware itself is rather durable as well. Of course, this is something you want to see in any product. Not only is it weatherproof, but it comes with a one-year warranty. Considering the camera can be had for under seventy dollars, you’re really getting a good amount of coverage on a per-dollar-spent basis. 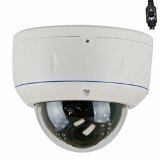 The GW Security GW807H is unique in that it brings commercial-level quality while coming at an agreeable price, making it one of the best dome surveillance cameras on the market for both homeowners and small business owners alike. 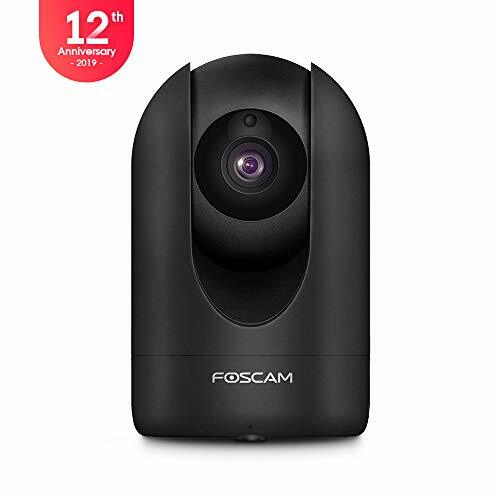 Aside from their less-than-memorable unit names, if there’s one thing Foscam Security is known for, it’s offering the everyman a camera suitable for professional use. This camera is no exception. The Foscam Security camera doesn’t come with the same plastic casing as the camera we just covered above. In fact, it comes with no plastic casing to speak of. So, what makes it so great? If you have no need for said casing, opting for this camera will give you a high level of quality for a slightly lower price. There’s simply no need to pay for features you don’t plan on using. As such, it doesn’t get a whole lot better than the Foscam if you’d rather skip on the plastic casing. Other than its good cost-to-quality ratio, the Foscam also has some great specs. If you were to momentarily forget about added features and purely focus on its specs for a moment, you might just find that it’s the best in its price range in this regard. The camera’s capabilities are most apparent when you take into account its high video quality. You’ll have a very tough time finding something which matches said quality for an equally-low price. It also does an excellent job in terms of the amount of control it offers its owners. In fact, it even comes with a mandatory manual focus. While you may not appreciate this feature if you’re looking to set and forget your camera, this just goes to illustrate how much control you truly have over your camera. If you’re trying to capture something in particular (as opposed to general security), such a characteristic should be considered downright essential. The two above cameras we’ve covered thus far seem to market themselves as commercial-grade cameras at a reasonable price. The R-Tech RVD70W, on the other hand, asserts itself as a high-quality residential camera right off the bat. Now, this does not mean that it is of a lower quality after all things have been considered. In fact, in terms of its cost-to-quality ratio, I’d go so far as to call it the best camera on the market. Upon first laying eyes on the camera, you’ll notice right from the start that, in contrast to the above two models, this is not something you’d expect to find in a large supermarket or grocery store. Why? Because it actually looks nice. It comes in a sleek, white package that just borders on the realm of futuristic. As such, if you’ve been meaning to get a great camera that doesn’t give your home or business that same oppressive (for lack of a better term) look that most commercial-grade cameras do, the R-Tech RVD70W is an excellent choice. Of course, while we can all appreciate a great-looking product, this is not the most important factor to consider. After all, you wouldn’t buy a Ferrari with its innards torn out. Luckily, the R-Tech RVD70W – despite being rather low in price and having a lot of focus put on its aesthetic appeal – functions great as a dome surveillance camera. Through its IR night vision, great field of view and well-above-average video quality, it’s hard not to love everything this camera has to offer. This makes it especially suitable for at-home use, as you won’t be paying a premium for many of the features often found in store camera. However, that’s not to say it can’t get the job done if you’re looking to save money on your business’ security costs. In terms of simply acquiring a camera for general security needs, all of the above units will do an equally great job. However, by knowing which situation each camera is most suited toward, you may find yourself able to pick out a unit which will prove to be more effective. For example, if you’re looking for a “scarecrow” of sorts, the first GW Security model listed above will do an excellent job through its ability to make it harder for onlookers to see just where it’s pointing at any given time. On the other hand, you might just need something that captures video. If this is the case, the R-Tech will do an equally-great job as the aforementioned GW Security model, though at a significantly lower price. As an added bonus, you’ll also walk away with a camera which is actually nice to look at. However, if you want to focus your camera on one specific area or are trying to capture something in particular (such as license plates driving down the street), the second GW Security model will do a great job through its manual focus capabilities. It’s really all up to you. What is a Dome Surveillance Camera? If none of the above cameras seem to have what you need, you may be able to find something more geared toward your tastes by doing some shopping for yourself. Try keeping some of the below factors in mind while doing so to ensure things go as smoothly as possible. Will you be monitoring your camera? This is, by far, the most important factor to consider when picking up a camera. One of the models covered above actually has you manually setting its focus. No matter what happens in front of it, it will not automatically adjust to new stimuli. While this gives it a whole lot of potential when someone is monitoring it, this potential ends when you merely want to set a camera up and forget about it. Before purchasing a camera, take a look at just how much maintenance it will need. The difference between a home camera and a commercial camera controlled by a security professional is huge. Where will your camera be situated? Ensure the camera you have your sights set on is resistant to the elements before deciding to place it outdoors. You’d be surprised at just how far a rainstorm can reach, even when your camera is placed under the lip of a roof. On the other hand, weatherproof material isn’t free. If you know your camera will be inside and up high where you needn’t worry about it coming in contact with liquids of any sort, you may be better off opting for something which doesn’t have you pay a premium for its resistance to environmental factors. Also consider whether or not anyone may be able to hurt your camera. If it’s situated twelve feet high, it may not need to come with as much durability as a camera six feet in the air. There are a couple select features which are always great indicators of a camera’s overall level of quality. That being the case, it always pays off to look for cameras exhibiting the below characteristics. 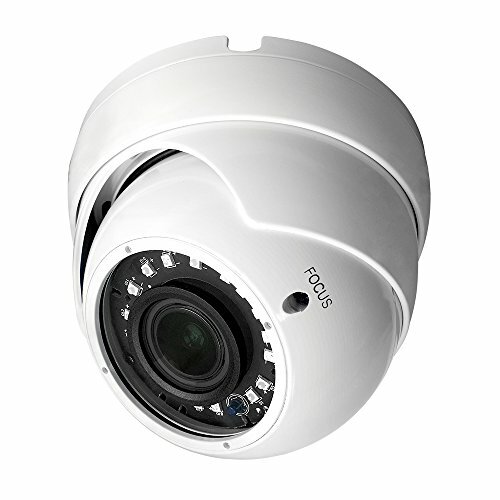 A High Video Quality – This is the case of all security cameras; not just those of the dome variety. As burglars and shoplifters tend to be rather discreet, a camera needs to be able to clearly pick up every little movement to remain effective. A resolution of seven hundred and twenty pixels is widely considered as being enough. A Wide Field of View – Once again, this applies to all security cameras. A wide field of view greatly increases your chances of capturing just what it is you need to capture. This is especially true of pivoting dome cameras, being that stores and homes equipped with these devices will often have blind spots. The larger the field of view, the smaller the blind spots. Outside of the two above features, which camera is best for you depends both on your goals and the building in which they’ll be set up. By keeping all of the above considerations in mind, setting up your ideal security system will be a piece of cake.